As you sprint on your horse, its stamina will drain relatively fast. With the core also eventually draining down. Whilst your horses health core will also drain if the stamina is low or it takes too much damage. You’ll need to constantly take care of your horse and replenish its cores in order to stop it dying or under performing. Luckily, this is really easy and cheap to do, and will also increase horse bonding naturally. Below, we have a quick guide on replenishing both stamina and health cores for your horse. Whilst we’ve covered some more guides for Red Dead Redemption 2 which can be found here. First, you’ll need to buy provisions which will benefit your horse. You can do this by going to either a general store, or opening the catalog by holding down the Left D-Pad. Some of the best foods for your horse are fresh items. You can check the stats in the bottom left. If it has a horse shoe icon, that means it benefits your horse. Carrots for example, are a great food item for your horse. 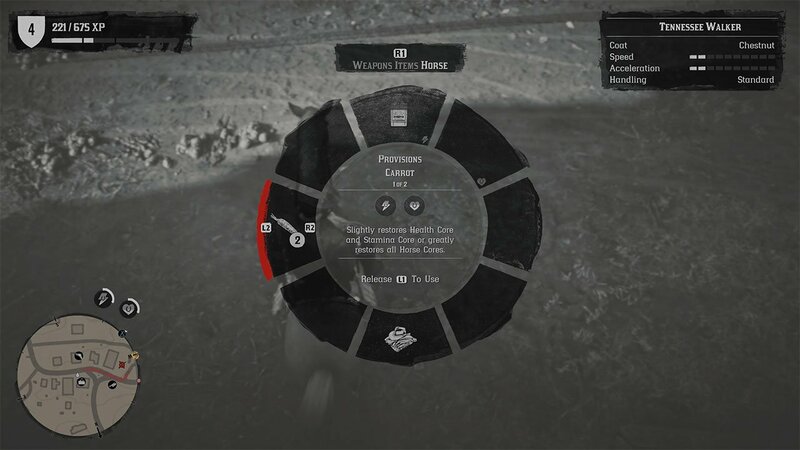 Head to your horse, interact with it and choose the feed option. This will give the horse an item from your inventory which will help restore health and stamina. 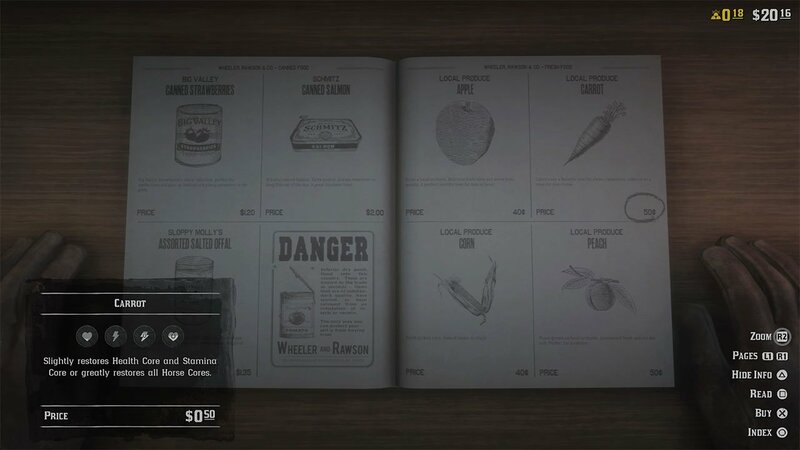 Otherwise, you can ride your horse, open the item wheel, head to the ‘Horse’ tab and choose carrots manually. 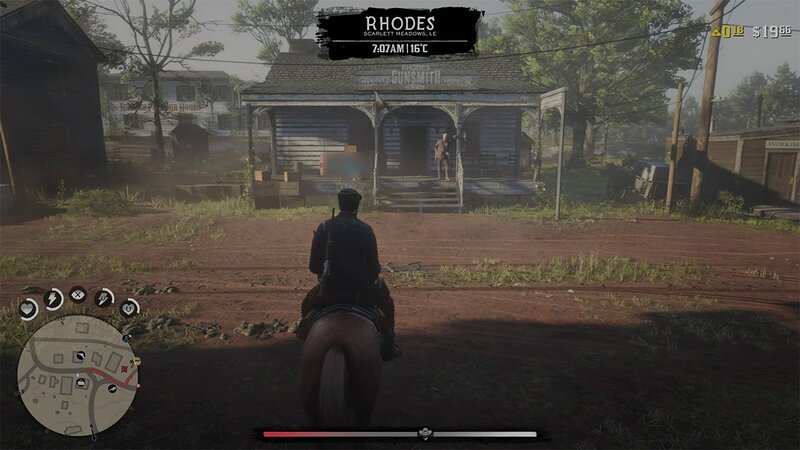 You will see the stamina and health bars for your horse in the bottom left gradually fill up. Make sure to keep an eye on these bars at all times. fix the online red horse core glitch, already. it’s been like 3 months. what the hell? !